Aquatherm will be rolling at booth 3000. Aquatherm will be rolling the cameras and looking for craft brewing stars at the upcoming Craft Brewers Conference and BrewEXPO America in Nashville, May 1-3. 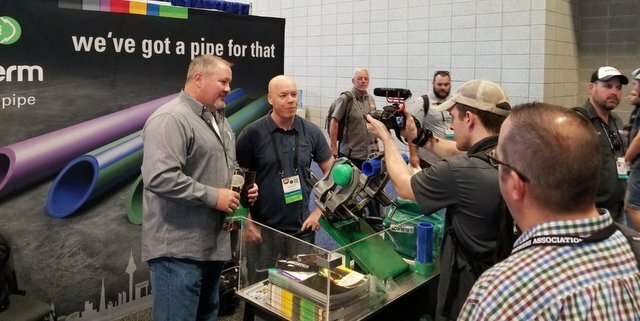 Craft brewers who have chosen to use Aquatherm’s polypropylene random (PP-R) piping systems in their breweries are invited to stop by the Aquatherm booth (#3000) and add their voices (and faces) to a short video. Large and small brewers coast to coast are embracing Aquatherm pipe for numerous applications in their breweries, including glycol lines, domestic water, heating and cooling, reclaimed water and CO2 lines. Aquatherm’s video team will be on hand in booth #3000 on Wednesday, May 2 between 2 p.m. and 5 p.m., and Thursday, May 3 between 9 a.m. and noon. Stop by and tell your brewery’s story.